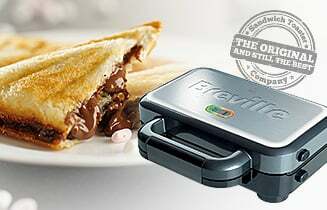 This high capacity 4-slice toaster is among our most popular, and it is not just because of its looks! It has some very family friendly features, such as paired high lift toasting carriages that make even smaller bread products, like crumpets, easy for little fingers to retrieve without touching the hot sides. Of course, it can toast 4 slices of bread or other food at once, but it also features 2 independent toasting arm controls that make toasting only 2 slices at a time more convenient and energy efficient. 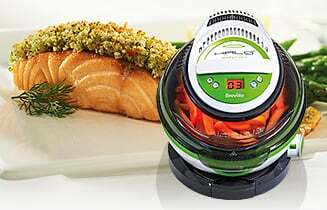 Nonetheless, when you need it, this device has a big 2100-watt capacity to toast quickly and evenly every time. 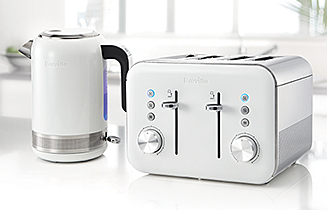 One of our most sought after features, however, is the ‘Lift and Look’ capacity that lets you examine the state of your toast without cancelling the toasting cycle. If it isn’t quite perfect yet, just drop it back down. You won’t have to risk burning it by restarting the cycle. Another ever-popular feature is the ‘Reheat’ mode. This allows you to warm up your toast, crumpet or other toastable without burning it – something that few other toasters are capable of! Colour Collection 4 Slice Toaster is rated 4.0 out of 5 by 4. Rated 5 out of 5 by New kitchen from Super set with matching kettle Bought mainly because of the colour - matches perfectly my new kitchen. Look really smart as a set. Very pleased with both, the kettle in particular. The toaster sides feel hotter after use than previous one, but otherwise highly recommend. 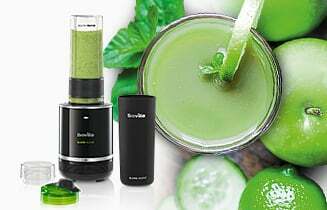 Also buying direct from Breville (special offer) MUCH cheaper than anywhere else. Rated 4 out of 5 by Tan37 from Nice colour for my kitchen I bought this to replace my old toaster I wanted this colour to match my kitchen I also bought the kettle that goes with the toaster. Find it a bit odd that you have to use slot 1 for two slices of toast you can't use either side to make two slices. But overall great value and works great. Rated 2 out of 5 by benny43 from replaced my old Breville Toaster with new iTT913 . Not happy with the new model, old model toasted perfectly at setting 3 , new model needs No7 setting , which burns , if i use at No3-4 I have to do it twice . Rated 5 out of 5 by Katie24 from Looks amazing in my kitchen! I love this toaster! Looks beautiful with matching kettle, easy to use and just adds the finishing touch to my new home!